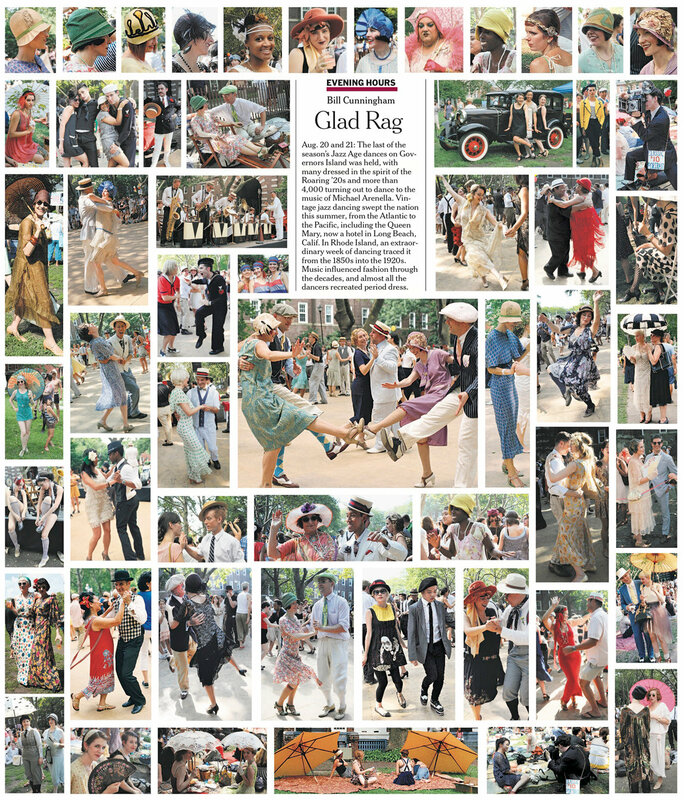 Two weekends ago flew to New York City to attend the Jazz Age Lawn Party, bandleader Michael Arenella‘s 1920’s themed event held on August 20 and 21, which is a rare opportunity for dancers to spend the day dancing entirely to 1920’s music, while picnicing on the picturesque Governor’s Island. The dance floor was crowded, but I managed to get some dancing in, per the video below and this Flickr video. I also had the pleasure of being photographed by DNAInfo.com and by Bill Cunningham of the New York Times!